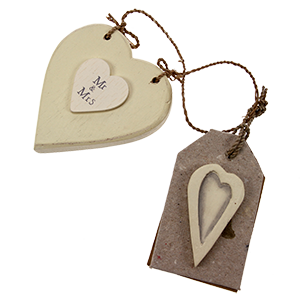 Not just for gift wrapping our wide selection of tags in many materials (including ceramic) have many decorative uses from wedding wishing tree messages and creating table plans through to homemade bunting. 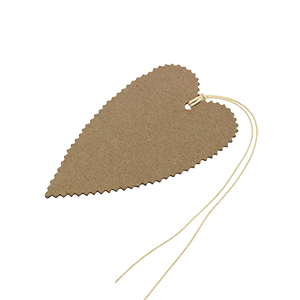 Fun and so very useful! 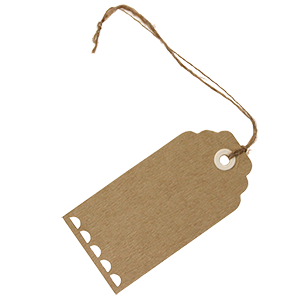 Tags are brilliant, you can never have enough! 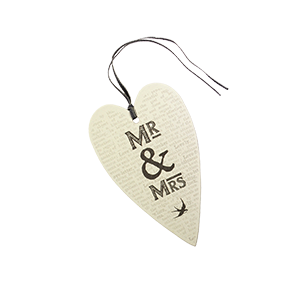 A handwritten tag is the lovely finishing touch to a gift or present, the means of identifying the contents of something e.g. 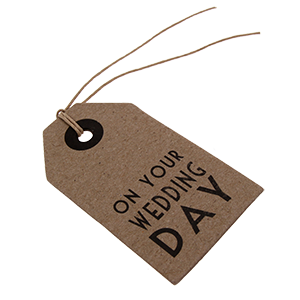 a home made favour gift of jam or chutney or even a funky place card, carefully tied to the guest's wedding favour gift or bundle of cutlery! 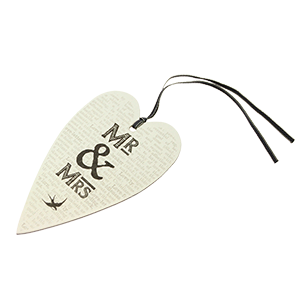 We have lots of tags to choose from, all shapes and sizes so you can marry up the right tag to the right job!